Our weekly song recommendations to soundtrack your weekend. Rock music has really fallen far in the last two decades, being replaced by hip hop, pop, and then electronic music as the primary musical language of the day. While it once ruled the musical landscape for about 40 years (about 1955-1995), rock music is quickly becoming like jazz, a genre for a sub culture, rather than popular culture. So in some ways, liking rock music makes me (and maybe you) a bit of an old fogy. Whether it’s the predominant music of the day or just part of a subculture, either way, there will always be vibrant, exciting rock music just as there is always vibrant, exciting jazz music. Early 2016 is no exception. Several of my favorite rock bands going released albums or singles as well as a few new bands I’m excited about. Here are six songs from bands that keep rocking and rolling even into 2016. Quite simply, this is a mountain of a song. If you are a fan of 70’s hard rock and heavy metal like Led Zeppelin, Black Sabbath, and Deep Purple, there really probably is no better modern band for you to listen to. Trippy, heavy riffs that just serve as body blows. The perfect male/female rock vocal duo in Amber Webber and Stephen McBean as if they were transported straight out of 1970. Yet they have enough experimentation and songwriting craft to not just be a carbon copy of those 70’s rock bands. “Dust” is the perfect anthem for cleaning your house. What a strange, funny, and surprisingly existential song it is from the fine Texas band, Parquet Courts. They have some of my favorite guitar/bass interplay since the Strokes. Now you have no excuse not to clean. Receiving the blessing of Jack White, L.A. band Chicano Batman isn’t just one of the best named bands around – they are also one of the most interesting bands around. Combining psychedelic soul, Brazilian tropicalia, Latin blues, and soul into one amusing musical melting pot, I can’t wait to see these guys live. In a year of political division, alt-rock great PJ Harvey is making political anthems for the people. Her new album releasing this week, The Hope Six Demolition Project, is filled with catchy yet piercing rebel anthems standing up for the people of England and those around the world, continuing her political bent started on her last album, 2011’s Let England Shake. Young guitar and singer/songwriting prodigies appear to be popping up left and right. 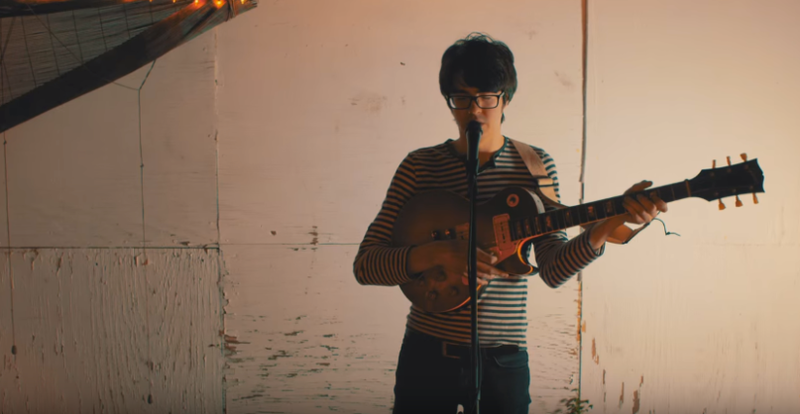 Courtney Barnett was our obsession the last two years, and I think its safe to say, Will Toledo of Car Seat Headrest might be ours this year. In addition to writing my favorite rock song so far this year, “Drunk Drivers/Killer Whales” is a stunning two-sided song starting tender and coyly before finishing with triumphant and biting guitar. Measured in pure riffage and intensity, it’s really hard to beat Savages. Jehnny Beth looks pretty much possessed on stage, and the rest of the band plays with the precision of Joy Division and the force of the Stooges. They are truly a sight to see. It’s been a modest yet somewhat surprising first few months of music in 2016. We had a crazy sloppy album release from the former best rapper on the planet (Kanye West with Life of Pablo), and a quiet surprise release from the current best rapper on the planet (Kendrick Lamar with Untitled Unmastered). 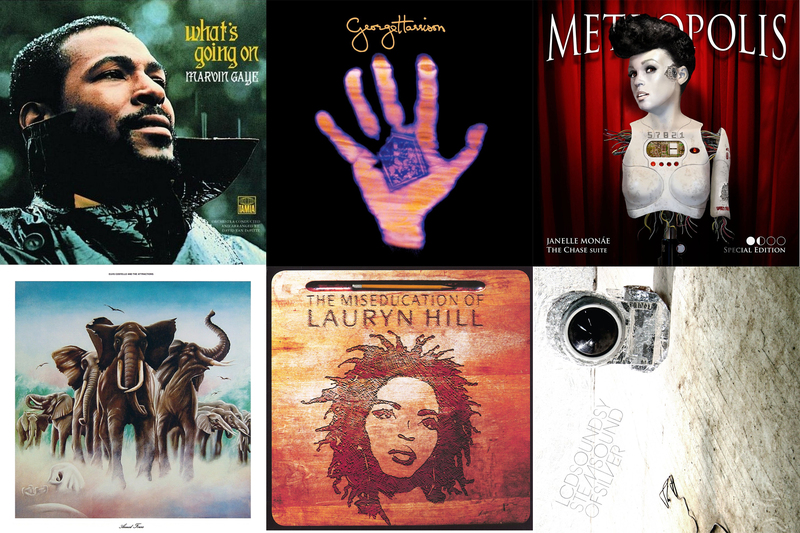 We’ve had a lot of old favorites come out with some solid releases (M. Ward, Mavis Staples, Santigold), and a few breakout artists catch me by surprise (Anna Meredith, TEEN, Anderson .Paak). Here are five of my favorite songs so far to come out in 2016. This is certainly not the playlist you expected upon first clicking in. It’s not the soundtrack to Sleepless in Seattle 2 or the latest Nicholas Sparks adaptation, but rather love-themed songs from unexpected sources from my past months’ worth of listening. So I guess that makes this clickbait in a way ¯_(ツ)_/¯. There are some older acts I’ve dug deep into for the first time, as well as some newer acts I’m excited to hear more from. So without further ado, a love-themed playlist that’s not too sacharine. Everybody’s talking Ryan Adams covers album of Taylor Swift’s 1989. Well I just found an album of one of my favorite underrated musicians, Harry Nilsson, covering another much underrated musician, Randy “You’ve Got a Friend in Me” Newman, with tremendous success on Nilsson Sings Newman. “Love Story (You and Me)” is maybe the finest moment on all the covers album with Nilsson’s golden pipes take Newman’s nervy, intelligent piano ballad to new heights. This is nothing fancy but great nonetheless. Australian rockers Royal Headache are sort of warm and affectionate punk music, if there was ever such a thing. The lead singer – who just goes by the name Shogun – has sort of an early Beatles-like innocence to him, even as the guitars soar and swell around him. This may be cheating since “Love” is in the band name instead of song name, but The Modern Lovers remain one of the most influential but least known bands around, especially upon today’s indie rock scene. One of my very favorite bands today, Parquet Courts, are essentially a modern retread of the Modern Lovers. “Pablo Picasso” shows the humor, edge, and rawness that makes Jonathan Richman so great, and it was also fun to revisit after just getting a heavy dose of Picasso on my recent trip to Spain. Rhiannon Giddens, lead singer, violinist, and banjo extraordinaire for the bluegrass trio Carolina Chocolate Drops, stepped out on her own earlier this year with her first solo album, Tomorrow Is My Turn, and it’s pretty much perfect Americana music: beautiful unadulterated melodies and harmonies, brilliant string-playing, and bare-bones percussion to move things along and provide texture. “O Love Is Teasin’” captures the intense drama and grace that Giddens’ voice and music embodies. Speaking of drama, John Grant’s music is dripping with it, plus an surprising dose of humor. Instead of a heirloom piano or a beloved six-string, the now Iceland-based singer/songwriter chooses propulsive, sci-fi synths as his backdrop for his confessionals. “Why Don’t You Love Me Anymore” could be sung beautifully with almost any arrangement, but it’s distinct and haunting coming from Grant.